When it comes to consuming sport through the internet, nothing comes close to the National Basketball Association (NBA). While other sport leagues have cracked down on unlicensed sites or social media users who post videos without permission, the NBA has a different attitude. It has adopted an openness to users sharing and dissecting game footage in the digital world. With NBA’s encouragement of video sharing via social media, it’s allowed NBA fans to comment in real time, exchange humorous captions and, of course, create memes. Players can also share technique, performance comments or post snippets about their personal lives. It has reshaped the nature of discourse throughout the game season, giving fans worldwide the opportunity to take part. The NBA now has one of the largest social communities in the world, with 36.6m and 26.49m followers for Facebook and Twitter, respectively. Keeping up the momentum, the NBA takes its regular season games offshore for fans across the world to catch live. 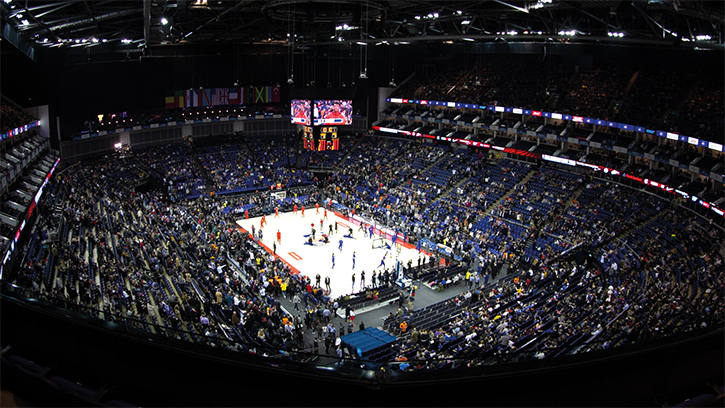 In the UK, the NBA has hosted an annual game in London for the past nine years. There’s always buzz around these games and social media has boosted that momentum. In the week leading up to this year’s game, the NBA orchestrated several events within the community that were later promoted online. 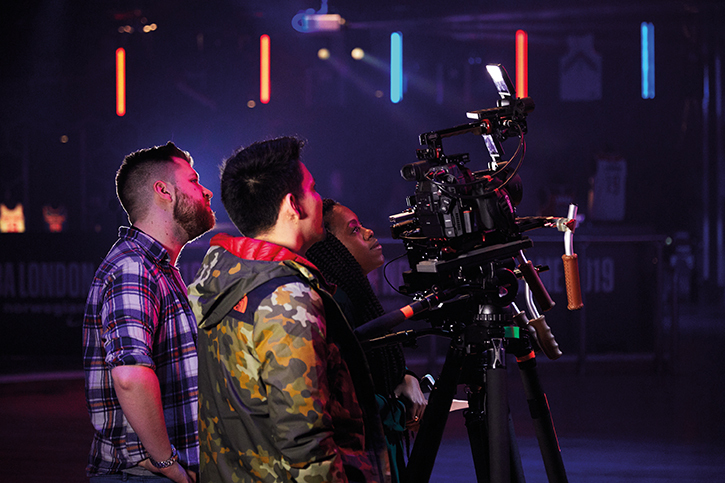 Tiger Films, the production arm of industry marketing specialist Digital Media Services and the NBA’s go-to team for digital commercial content in the UK and Europe, films these events. 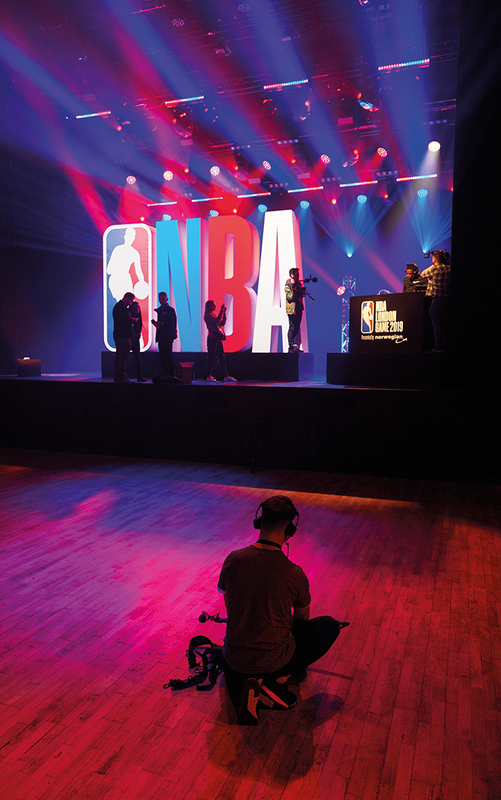 It also cut and edited footage for distribution across the NBA’s social and digital channels. Subsequent events included a DJ masterclass between Caron Butler and DJ iLLspokinn and an interview with the game’s sponsor, Norwegian Air. The interview was later shown on the jumbotron in the stadium on game night. Game season is the busiest period for Tiger Films. During that time, it produces promotional content – which it calls ‘showdowns’ – to sit across the games that are broadcast on Sky Sports. “Everything goes across the NBA’s social and digital platforms, too, but is also sometimes picked up by European broadcasters, such as beIN Sports in France,” says Northern. Growth of OTT platforms is also enabling international sports leagues, like the NBA, to establish their brand across the continent. Perform Media, which is a digital sports and content management group, will leverage the NBA’s live-game subscription service – NBA League Pass – on its own OTT platform, DAZN. This collaboration will give fans in more than 15 international markets (including Argentina, Canada, India, Japan, Mexico and Spain) the opportunity to watch NBA games in real time and provide them with localised, territory-relevant content. Perform Media has stated that its goal (or in this case, basket) is to help replicate the NBA’s astonishing success in additional markets, such as in the UK and Europe, by using the power of digital. The NBA’s presence on Twitter is well renowned. Just last year, Twitter announced the NBA was the most-tweeted-about sports league in the world. In light of that success, the NBA has also launched a partnership with Twitter that will give fans the opportunity to livestream 20 upcoming games on the social platform. But this comes with a twist. The live stream won’t provide a running commentary, nor will it show the full game. Instead, it will feature an alternative camera-angle view of a single fan-voted player in the game’s second half. Twitter will license the streams from the NBA and Turner TNT, the broadcasting network that holds the rights to full, live games. It’s fair to say that the NBA’s far-reaching digital sociality has pushed the league to monopolise basketball on a global scale. The NBA excels at something other sports league are still strugglling with: it has created a worldwide community through the art of digitisation.